Carlin Springs Drive is currently not pedestrian friendly. There are no signalized crossings for 1.3 miles from its origination at the Ballston Mall all the way to the interchange at Route 50/Arlington Boulevard. 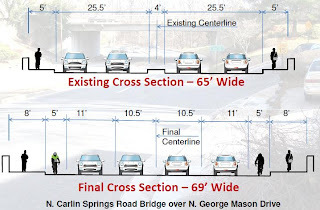 I know of several families who live nearby who will not allow their Middle School age children to ride the bus, go to the Arlington Forest pool, or bike to the Bluemont Junction Trail unaccompanied because they cannot safely cross Carlin Springs Road. 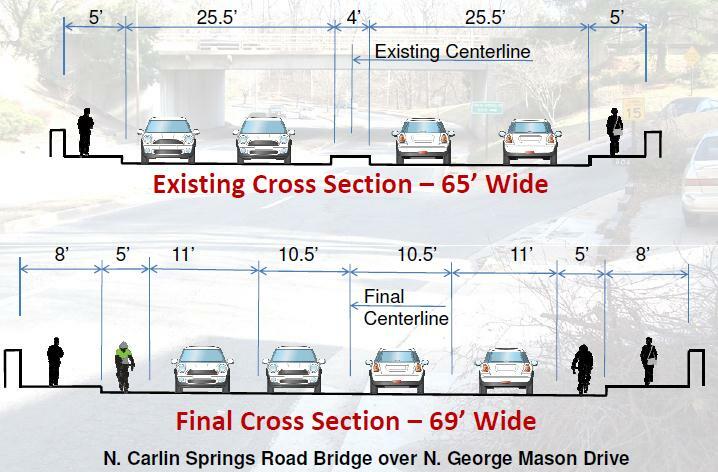 Hopefully this improvement will be the first of many steps to improve the overall design of Carlin Springs through North Arlington to better serve all users of the road.